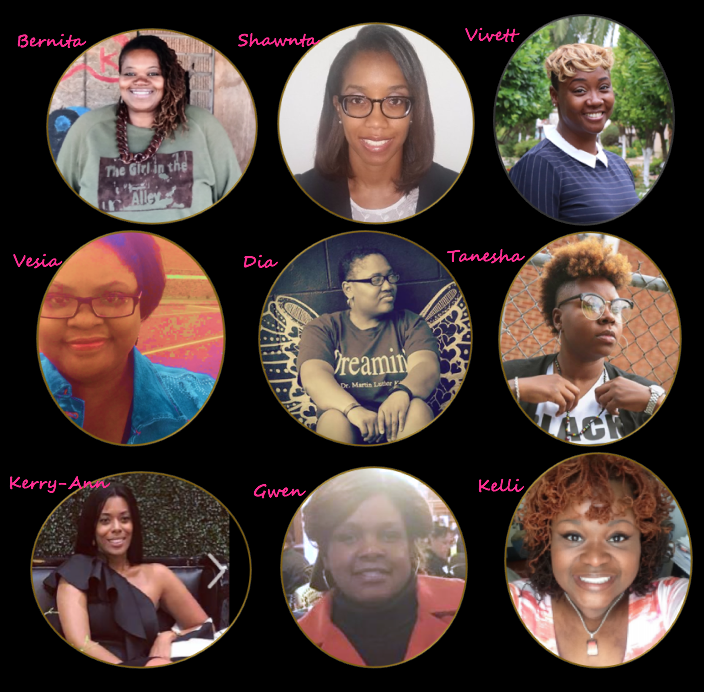 For this mom, being the Founder and a very conscious, unapologetic Black parent leader of an all-volunteer, parent led organization, leaves little time and energy to gather my thoughts to write a timely blog. Yet, I felt I could not go into 2018 without sharing some of my reflections about October 13 -15, 2017, within downtown Philly. October 13-15, 2017, this is the date where hundreds of Black male educators assembled, from across the country, making history along the way, at the Fellowship organization’s “Stay Woke” Inaugural National Black Males Educator convening. From a Black parent leader and community organizer perspective, this historical event embodied the very essence of what “woke” and focused collective Black power looks like in the 21st century. Now, you may be asking, why should this Philadelphia convening of Black male educators’ matter to a Black parent from Connecticut or any other state for that matter? Well, for starters, it dispels myths that every black male is in prison and they don’t care about education. In addition, the event reaffirms that our Black history in America matters every day, not just in February – just saying. Seeing so many Black male educators and woke black folk under one roof forced me to wonder what the lives of thousands of Black boys and girls would be like in America’s schools IF they had many more role models and protectors that looked like the people in the ballroom in October. This event made me happy, sad, and mad all at the same time as I listened to countless best practices in Black male educator-led classrooms across America that demonstrated what our black, brown, and poor children are very capable of when the adults in their lives believe in their abilities. According to the US Department of Education’s former TEACH.gov campaign under former President Barack Obama and U.S. Education Secretary Arne Duncan, Black men represent only two percent of teachers nationwide. As a mom of children that attend traditional public schools in Connecticut, I occupied that space in Philly from two emotional lanes within these very Divided States of America. The first emotion was the feeling of hopelessness when I reflect on America’s current educational system that denies so many Black, brown and poor children, to include special needs and those with disabilities, equitable access to safe high quality educational opportunities. The second emotion was the feeling of optimism, the audacity of hope, as I witnessed the “sea” of over 700 participants, majority Black male educators, gather in the ballroom and in various workshops housed under: Activism/Advocacy/Culture, Teaching and Learning, Professional Development to include family and community engagement. This. Event. Right. Here. put a name and a face to the countless Black, brown and poor children deemed not “human” enough to receive a safe and quality educational experience. This event personified the collective power of Black folk, coming together from across the country, for the very children that are racially and economically profiled and marginalized in classrooms across the United States. You see, for me, this Black male educators event came at a pivotal point in my journey, as an equity and justice in education activist, because the Connecticut Department of Education released, earlier in the year, a 2017 Suspension and Expulsion report which continues to identify disproportionate suspensions and expulsions of Black and Hispanic students. This includes the 71.6% suspensions of Black and Hispanic early childhood PreK- 2nd grade and the 58.5% Black or Hispanic boys. To know that all the research in the world about early childhood brain development couldn’t stop such disproportionate suspensions and expulsions of babies. This fact was well beyond troubling for me! As a direct result of my lessons learned at the Fellowship Black male educators event, the Connecticut Parents Union hosted an event on December 16, 2017, ”The Perils and Promises In the Education of Black, Latino and Poor Children in Connecticut,” in Hartford. Panelists from Connecticut, Philadelphia, Indiana, Massachusetts, and the keynote speaker, Vice President of the University of Oklahoma, Jabar Shumate came in to support Connecticut vulnerable children. Read more about our event, from a first hand experience, on Erika Sanzi’s blog. For this mom, the Fellowship “Stay Woke” Inaugural National Black Males Educator convening added the much-needed oxygen to one part of my inner flame that helps guides my fight against injustice in education, which by the way, was dimming fast inside of me. Why? Because I was feeling overwhelmed and helpless to effectively support the many Black, brown and poor children, to include special needs and those with disabilities, in Connecticut and across the country, who are in crisis mode. Absolutely, too many vulnerable students are trapped in unsafe and/or low performing schools, through compulsory education laws, that intentionally or unintentionally fail to meet their educational and life needs in many traditional public schools. To add insult to these educational injuries to vulnerable students, many education systems criminalize parents who seek safe and quality educational opportunities outside of their zip-code, when none exist in their neighborhood. For this mom, this Fellowship event confirmed the John Hopkins University study “ With Just One Black Teacher, Black Students More Likely To Graduate. Low-income black students who have at least one black teacher in elementary school are significantly more likely to graduate high school and consider attending college, concludes a new study co-authored by a Johns Hopkins University economist. Having at least one black teacher in third through fifth grades reduced a black student’s probability of dropping out of school by 29 percent, the study found. For very low-income black boys, the results are even greater – their chance of dropping out fell 39 percent. For this mom, this event confirmed that dreams matter in the lives of children and with the right life supports our Black male students can actually see themselves as educators. Furthermore, our black girls benefit by having black male educators as role models, protectors, and for some, nurturing father figures in their life. To excel in school, black male students need role models and dreams. Of all the challenges we face in education today, I can think of none greater than the challenge of motivating, educating, and empowering black male learners…The fact that this group of students is in crisis is evident on multiple levels. For this mom, the Fellowship event for Black male educators confirmed, what most of us already know, and the status quo conveniently chooses to deny and minimize- that race biases in the classroom have traumatic, detrimental, and life-altering effects on marginalized children because these biases nurture disparate treatment of marginalized children of color. White teachers more likely to doubt educational prospects of black boys and girls. When evaluating the same Black student, white teachers expect significantly less academic success than black teachers, a new Johns Hopkins University study concludes. This is especially true for black boys. When a Black teacher and a white teacher evaluate the same Black student, the white teacher is about 30 percent less likely to predict the student will complete a four-year college degree, the study found. White teachers are also almost 40 percent less likely to expect their Black students will graduate high school. As this mom prepares for 2018, I know I must strategically choose my battles because this is an election year. While I fight for equity and justice in education, I must help Black women, youth and independent voters with get out the vote efforts, especially among marginalized parents and voting age young people. Why? Because Martin Luther King Jr. said it best, “Our lives begin to end the day we become silent about things that matter.” And voting really really matters! According to wikipedia.org, The 2018 United States elections will mostly be held on Tuesday, November 6, 2018. These midterm elections will take place in the middle of Republican President Donald Trump’s term. All 435 seats in the United States House of Representatives and 33 of the 100 seats in the United States Senate will be contested. 39 state and territorial governorships and numerous other state and local elections will also be contested. We, as Black, brown, and poor parents, cannot sit on the sidelines, during election time and hope for the best because “hope is not a strategy”. We must plan to act, fighting smarter not harder because Sun Tzu, the author of the Art of War said, “The art of war teaches us to rely not on the likelihood of the enemy’s not coming, but on our own readiness to receive him; not on the chance of his not attacking, but rather on the fact that we have made our position unassailable”. Originally published at Real Talk Gwen Samuel.